The Immortalists was different but in a positive way! The story stands out in many ways, one of them is how Benjamin portrays the characters pain in writing. It is done in such a beautiful way, that even though there is a lot of sad moments, they seem to be needed in order for the story to go along as planned. Now, I read the Norwegian translation of this book so I cannot say anything about the English version, but I’m sure it is just as beautiful! Another thing I really enjoyed was how Benjamin kept the fates of the characters kinda cryptic. You read about them of course, but nothing is clear. It leaves a bit of mystery over the whole story, and that just keeps you on your toes, or in this case, glued to the pages. This story has four main characters. I particularly liked Simon’s story because I learned something new. As the synopsis says he leaves for San Fransico in the 1980’s, and in my opinion, this was the saddest story of them all. I’m not going to say anything more about that, because it would spoil your fun. The stories of all the characters taught me something new, which I really appreciated! I like learning new things when I read a book, and even though this is a novel, I don’t doubt that Benjamin has based the stories within reality or life-life possibilities. I also enjoyed the diversity of the characters! Simon is the baby who always has gotten what he wants, Klara lives her life with her head in the clouds, Daniel is the safe one, while Varya is the bookish type who keeps to herself. Mix them all together and you have a great story with a lot of hidden perspectives, so you have tons to look forward to! 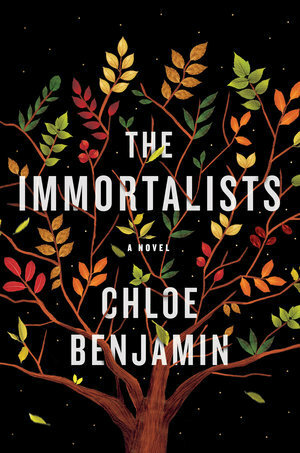 The Immortalists was a refreshing read in many ways, and I really recommend it if you want to read a story that stands out from the crowd. I will highly recommend it to fiction and fantasy lovers! I would have finished this quicker if life hadn’t gotten in the way. Hate when life does that, haha. Congrats with reaching your Goodreads goal!! I’m happy to hear you enjoyed it so much, great review. Euh no but you mentioned it would a good read for fantasy readers so I’m not sure it’s really one for me, even though it sounds really good!